I am happy and honoured to welcome Casa della Stilografica back for another year of sponsorship! I am grateful for Marco's support, as well as for your readership. Casa della Stilografica has graciously offered Gourmet Pens readers a 10% off discount code: FLORENCE. Casa della Stilografica has a pretty big selection of goods: inks, pen cases, accessories, from brands like Aurora, Cross, Delta, S.T. 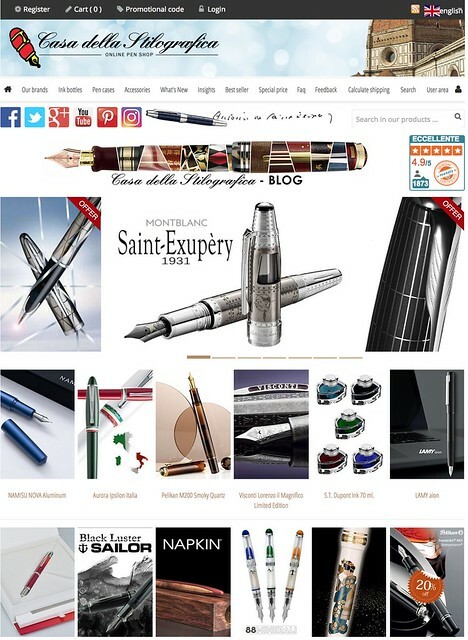 Dupont, Faber-Castell, Graf Von Faber-Castell, Visconti, Caran d'Ache, Lamy, Montblanc, Montegrappa, Monteverde, OMAS, Parker, Sailor, Pelikan, Pilot/Namiki, TWSBI, and more. Prepare your wallets. Visit the Special Offers section for all the sales!